Part 3 of an epic trilogy, cycling from Silverstone, the home of the #BritishGP, to the #MonacoGP on the South coast of France! 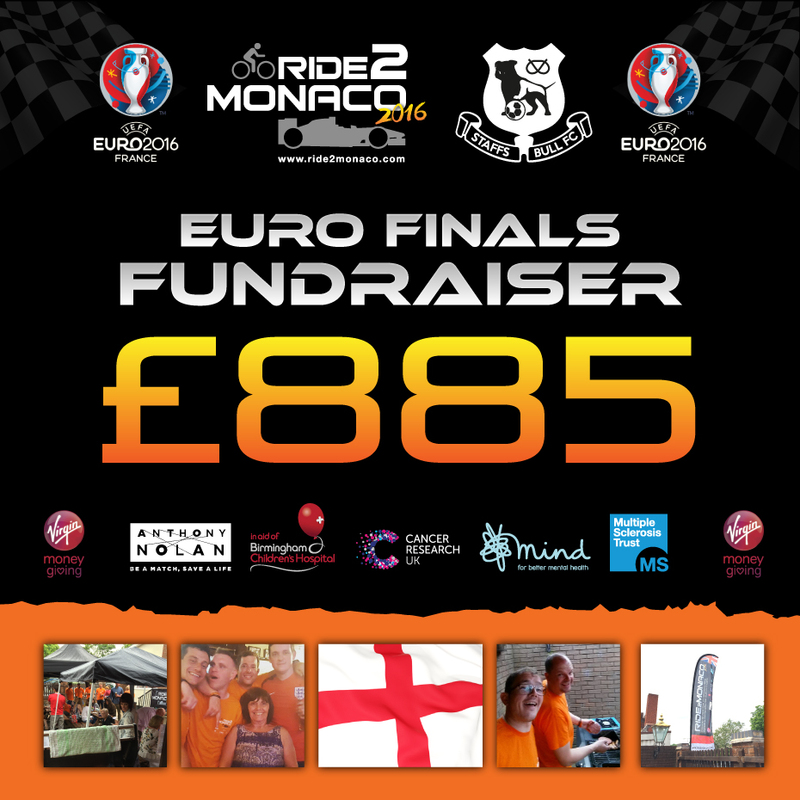 Raising funds and awareness for worthy causes, Team ride2monaco covered 848 miles in 8 days and climbed over 59,000ft! Starting with a lap of Silverstone Circuit, the route took us across England and France, taking on four famous Alps climbs along the way. It was a mammoth task, with strong headwinds, unrelenting rain and some super long days, cycling between 90 and 117 miles a day. We've had humbling success with our previous two ride2 Cycling Events, raising amazing amounts of money and awareness for our chosen worthy causes. Helping charities close to the Team's and many of our sponsor's hearts made completing this epic challenge achievable, so anything you could donate would be massively appreciated and will go a long way to changing the lives of those less fortunate.